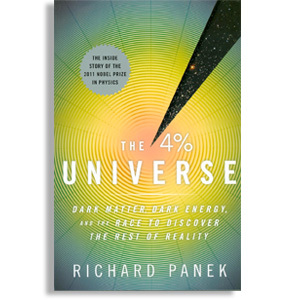 推介書藉: The 4% Universe: Dark matter, dark energy, and the race to discover the rest of reality. by Richard Panek. Published by Mariner, 2011.